When I was younger, I had a big poster on my wall showing all of the RNLI lifeboat stations around the coast of the United Kingdom. Their mysterious names conjured up images of the powerful lifeboats stationed there and of the tough men and women who crewed them. And none more so than an odd-sounding place right at the bottom of the country, deep in the heart of Cornwall. Its name was The Lizard-Cadgwith. Now, as it turns out, things have changed a little since I was a lad (it was, I have to admit, quite some time ago) and the lifeboat station previously named The Lizard-Cadgwith is now known simply as The Lizard. But such changes are nothing new here, for this station in one of the most hidden-away parts of the country has quite a remarkable – and somewhat complicated – history. The first lifeboat station in this part of the world was established in 1859 in Polpeor Cove, right at the tip of the Lizard peninsular. 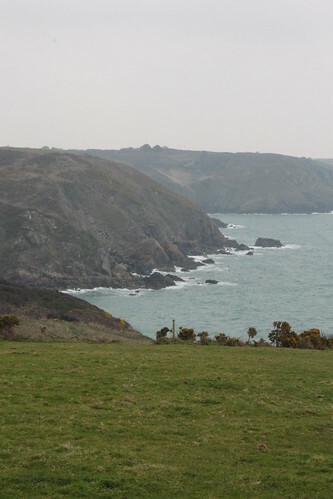 The location of the boathouse at the top of the rugged cliff proved problematic, however, and a disastrous launch in 1866 resulted in the loss of the lifeboat and three of her crew. Partly as a result of this, a larger boathouse – housing a larger lifeboat – was later built lower down in the cove in 1885 (or 1892, depending on who you ask). 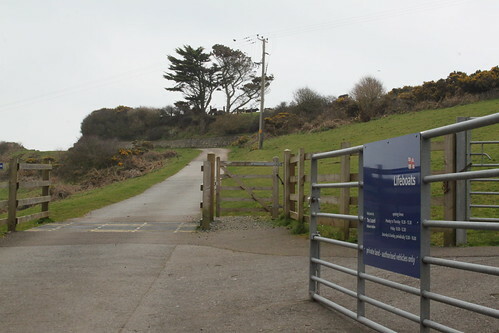 The existing lifeboat was relocated to nearby Church Cove, where a station operated until 1899. 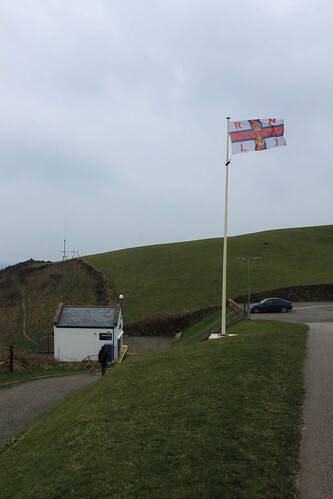 A smaller lifeboat station had also been opened in 1867 at the nearby village of Cadgwith. (Cadgwith is absolutely beautiful, by the way. Do pop in if you are ever in this neck of the woods.) However, in 1961 a brand new lifeboat station was built at Kilcobben Cove, between Lizard village and Cadgwith, which replaced the Polpeor Cove station and, two years later, the station at Cadgwith, too. 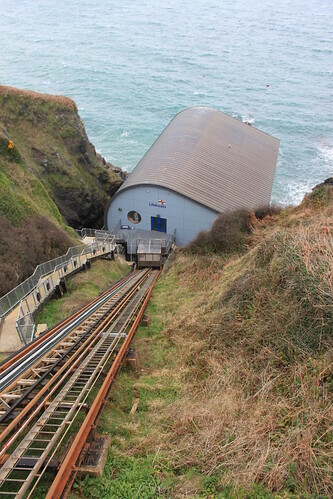 This was a complicated station to build, as the boathouse and its slipway were situated at the base of the steep cliff, just above the water. But this, at last, was The Lizard-Cadgwith lifeboat station. But the story doesn’t end there, because the station’s name was changed officially in 1987 to The Lizard Lifeboat Station. In 2010, the existing boathouse was demolished and rebuilt to house one of the new Tamar class lifeboats. And it was on the hunt for this remote station, with its massive lifeboat, that the little guys, Natalie, Molly and I now found ourselves. The directions we had been given were enticing. ‘From Helston, take the A3083 towards the Lizard. In the Lizard village, head for Church Cove. Park by the church and go downhill on foot. By the gate, follow the path through the cow field to the station.’ To be honest, as the roads got smaller, I started to have my doubts. But we found the church. And we found the car park. And, finally, we found the gate. Wandering down the track on foot, with Molly eyeing the cows suspiciously (Molly’s my dog, I should perhaps add), we were struck by the rugged and weather-battered landscape around us. The cliffs didn’t look at all friendly, which is presumably why the lifeboats around here have always been so busy. And why the seas around the peninsula have been known as the ‘graveyard of ships’. 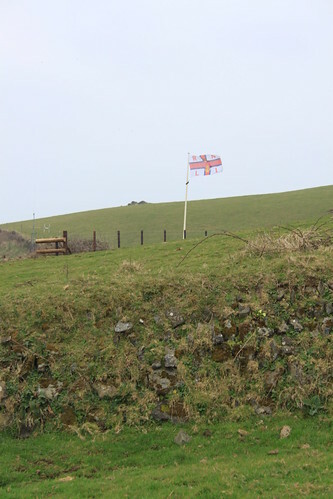 Suddenly, a familiar flag loomed up over the brow of the hill next to the track. It was starting to rain a little now, so we quickened our pace, confident that we had almost reached our destination. Or had we? For this is the sight that greeted us as we approached the flagpole. Was this perhaps the smallest RNLI lifeboat station in the UK? And what did it house? A liferaft? Er, no. This was the winch house for the funicular railway leading down the cliff to the main boathouse, perched precariously just feet above the waves. And here it is. Nestled incongruously at the base of the rocky cliff, we were now gazing in wonder at The Lizard Lifeboat Station, the latest – and possibly also the most stunning – station to serve this part of the Cornish coast.